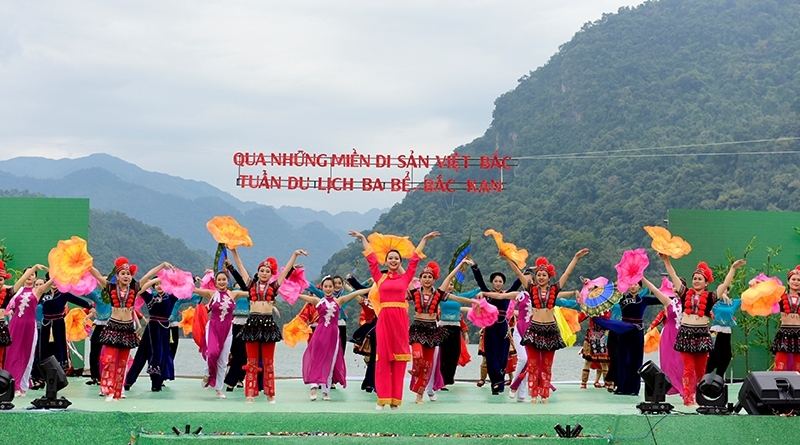 (VEN) - The successful ninth “Through Viet Bac Heritage Sites” program and Ba Be-Bac Kan Tourism Week, both held in late November 2017, show that development cooperation and connectivity have brought tourism in Vietnam’s northern provinces to new heights. Launched in 2008, the “Through Viet Bac Heritage Sites” program takes place annually in one of the six provinces of Cao Bang, Bac Kan, Lang Son, Thai Nguyen, Tuyen Quang, Ha Giang that make up “Viet Bac”, the Vietnamese name for the country’s northern region. Bac Kan Province hosted the ninth program in association with the Ba Be-Bac Kan Tourism Week that took place for the first time in the province’s Ba Be Lake area. The events consisted of cultural and art performances, a folk art festival, a show of traditional costumes by ethnic minority groups from the six provinces, and a photo exhibition featuring tourist sites and the people of Viet Bac. In addition to tourism activities at Ba Be Lake, other events included a display of books, newspapers, paintings and photos of the land and people, the screening of films featuring Viet Bac landscape and people, and pavilions introducing typical, unique products of Viet Bac localities. The Bac Kan Province Department of Culture, Sports and Tourism said the 2017 “Through Viet Bac Heritage Sites” program and Ba Be-Bac Kan Tourism Week attracted almost 12,000 visitors, increasing the occupancy rate of hotels and guesthouses in Ba Be District and its environs to 100 percent. The Tourism Week left a deep impression on visitors while contributing to strengthening tourism cooperation and connectivity among the six provinces and related localities, according to the organizers. The program was also designed to support the Ba Be-Na Hang World Natural Heritage report submission to the United Nations Educational, Scientific and Cultural Organization (UNESCO). Deputy Minister of Culture, Sports and Tourism, Dang Thi Bich Lien, assessed Viet Bac, with its picturesque mountain landscapes, cultural and historical diversity, a growing and stable economy, and ethnic minorities’ hospitality, have contributed to the development of tourism and the country’s socioeconomic achievements. The Ministry appreciates the efforts and achievements of the Viet Bac provinces in recent years, she said. The heritage sites program has improved tourist offering development, tourism promotion and human resources development. The six provinces took the initiative in preparing tourism development plans, programs and targets in compliance with their conditions and the region’s tourism development strategy. 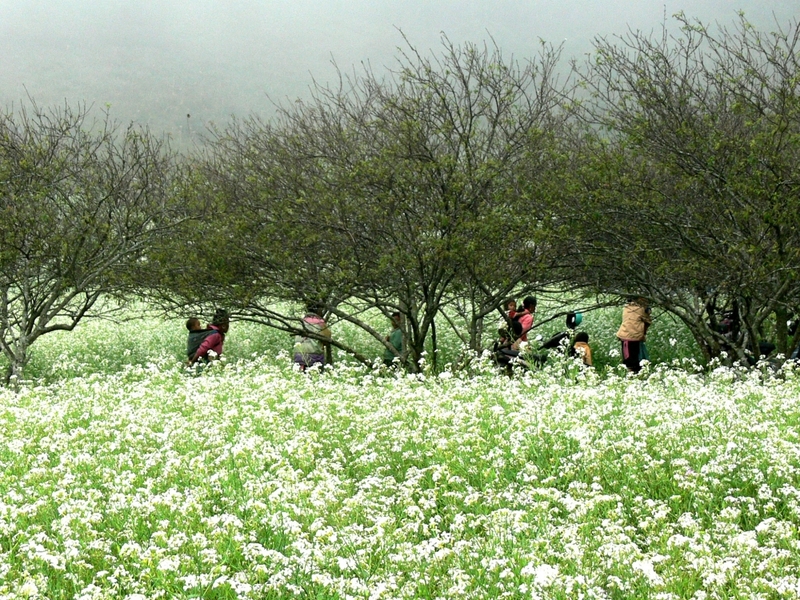 Viet Bac tours have attracted an increasing number of domestic and foreign visitors, resulting in an average annual growth of 16 percent in the region’s tourism revenues. However, the growth is still not commensurate with the potential and needs to be improved by properly tapping the region’s advantages and potential. Deputy Minister of Culture, Sports and Tourism, Dang Thi Bich Lien, said the six provinces should continue to work together to promote tourism development cooperation, assist each other in tourism promotion and attracting foreign and domestic visitors, preserve and promote cultural values, and encourage community involvement in building unique tourist offerings. These measures will enable them to successfully implement the Politburo’s January 2017 resolution on developing tourism into a spearhead economic sector. Ha Van Truong, Director of the Bac Kan Province Department of Culture, Sports and Tourism, said Bac Kan will implement several measures to preserve and promote the values of ethnic cultural heritages in order to promote tourism to the region. The province plans to mobilize investment capital for tourist infrastructure development, restore and improve relic sites, restore folk songs and dances and traditional ethnic handicrafts, restore traditional festivals, and upgrade major events to attract visitors. Deputy Minister of Culture, Sports and Tourism, Dang Thi Bich Lien, believes that with support and cooperation from central authorities, ministries and localities nationwide and the interest of the business community, the region’s tourism will experience impressive development in the coming years. Cao Bang Province will host the 10th or 2018 “Through Viet Bac Heritage Sites” program.